Home MiscelaneousTransitioning to a Cruising Lifestyle; My family’s key recommendations. 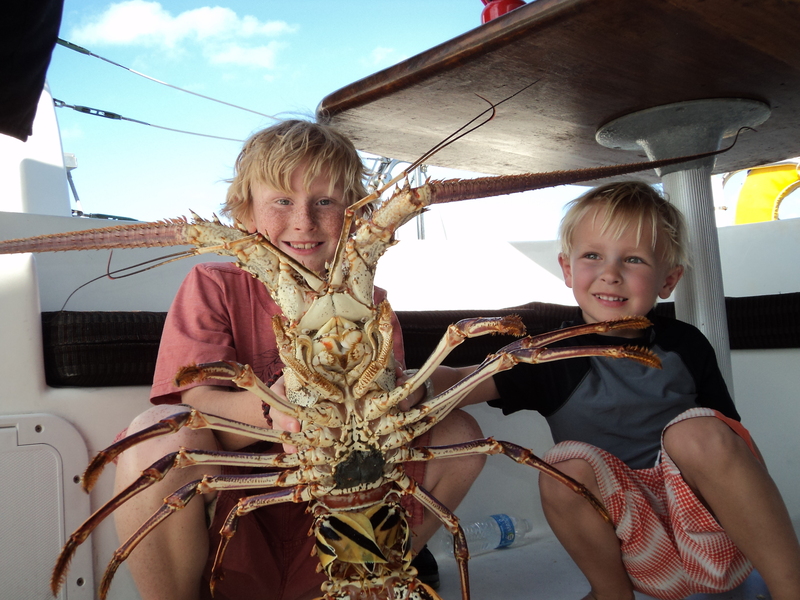 Transitioning to a Cruising Lifestyle; My family’s key recommendations. New Jordan Yachts broker, Nate, gives some recommendations on buying a catamaran for families with kids. He specializes in cruising catamarans and has a wealth of knowledge from his adventures with his family of 5. Please contact via nate@jordanyachts.com or (407) 929-9872. 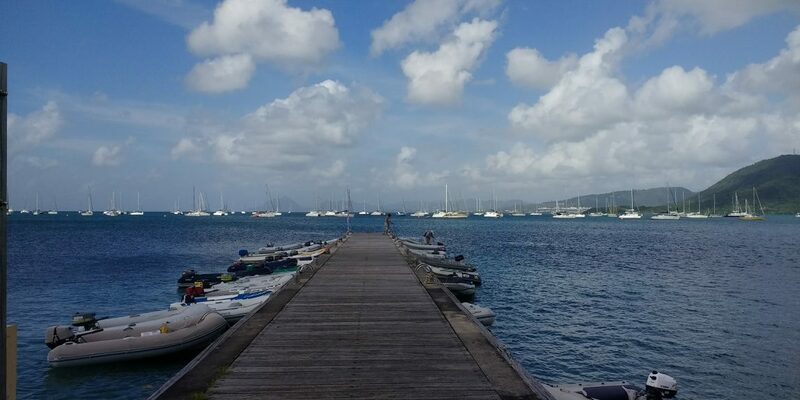 Main photo on this article is from a dinghy dock in Martinique. Start where some cruisers are. Most sailors are more independent than the average Joe and enjoy peace and solitude, but we are social creatures. And let’s face it, we just pulled our children from highly social school environments and are taking them to some quite remote lands. Without a cruiser in site ,we started our first trip (with a Catana 381) in a Virginian boat yard during a heat wave in July. Fortunately, a friendly ex-sailor who lived next to the boatyard noticed the discomfort and boredom on our children’s faces and offered up his private beach for some fun and heat reprieve. Thanks again Tommy, you were a lifesaver! For our second trip, we started in a festive (and secret) harbour in Grenada with cruising families everywhere. Trust me , somehow cruiser vs local volleyball games , movie nights, and Halloween trick or treating (via dinghy) helps everyone transition to living on a boat. Additionally, once you untie the lines or pull up anchor, cruisers often sail along similar routes. You will see your new friends again resulting in lifelong relationships. Christmas in Martinique ,with fellow cruising friends from all over the world ,is quite special. There are cruisers and cruising families everywhere, but definitely areas where they congregate. We recommend either starting in a hotspot or sailing to one quickly to help the transition. The boat you own is the right boat, but be sure she can sail upwind and is fun to sail. We all have budgetary constraints and there are tradeoffs to every boat, but I consider the ability to sail upwind a safety and maintenance requirement. While more applicable to catamarans (my clear preference for families), this will reduce your maintenance and fuel cost requirements and extend your cruising range. I always prefer a cocktail and a book over changing the oil. More importantly, I need to have the confidence that she can make headway upwind in case of motor failure. Your sailing skills will progress if you consider the iron gennies optional and plan your passages accordingly. Many catamarans simply cannot allow this. Additionally, find a boat you truly enjoy sailing. We all have different criteria and the livability/sailability tradeoff is real,but I have met many who purchased boats with an uncomfortable motion for a slightly larger salon. You can have performance and comfort. The more you enjoy sailing your boat, the more often the sails will be raised and the more places you will experience. Minimize the to do list, get out of the boatyard, and go sailing. Yes, you have to take care of the core safety items, but don’t think the latest electronics ,air conditioning, and a washer and dryer are necessary to start cruising. Being on the water is energizing, and the first few weeks onboard will give you an education on what items you really need to optimize your adventure. There will always be some repairs and minor refit projects. Doing them in various ports along the way is culturally interesting and part of the fun. 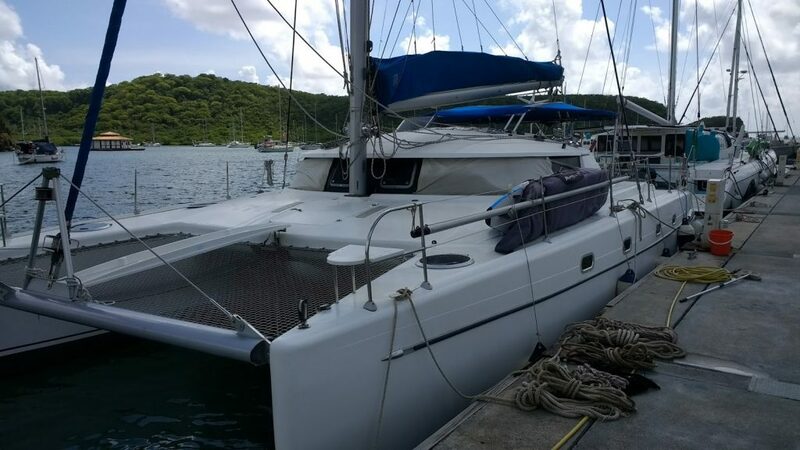 During our Caribbean trip, we were able to begin cruising approx 30 days after closing and it was a modest 15 year old boat ( a Fountaine Pajot Belize 43). This allowed us to get used to the systems and take care of the required insurance items from the survey. Otherwise, we did all other improvements along the way. There are many trip cancellations due to some unforeseen life event. Many folks also either lose interest or blow budgets due to unnecessary long projects. Go sailing before life changes your plans! Keep moving. Your friends and family will come to you. Because our first trip was up and down the eastern seaboard and through the Bahamas, we stopped and visited the parents and extended family during the holidays. While enjoyable, this essentially paused our trip for over a month and pulled us out of the lifestyle. Life if short ,bring the rest of your family into your new life. Everybody wants an reason to visit the Islands, they will love it. It’s hard to express enough how rewarding cruising has been for our family and I’m confident the experiences will pay dividends for the rest of our lives. We have grown individually and as a family and had a whole lot of fun along the way. Get out there and make it happen, it’s so worth it!